Double the tips for health and hygiene! 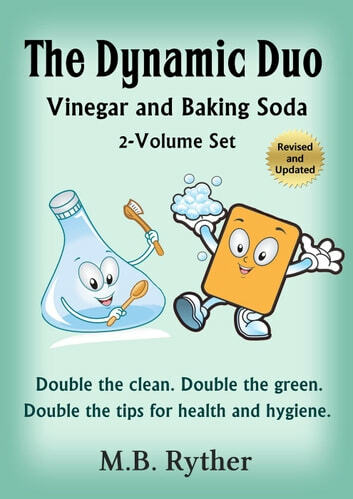 Now available in one convenient format, the entire contents of the popular selling Vinegar Solutions and Baking Soda Solutions are contained in this one easy-to-use book, The Dynamic Duo. "A wonderful well-written book full of uses for baking soda." "There are some fantastic cleaning suggestions in this book." "This is one of those must haves in your library." "This book was a godsend." "Do yourself a favor and get this book." 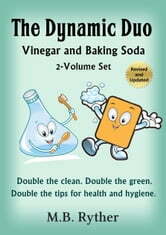 * Over 350 ways to use vinegar and baking soda indoors, outdoors, in sickness and in health. * Cooking tips that'll bring them back for more. * Helpful hints that will make your pets wag their tails. * "Manly" ways to use the dynamic duo on the car, in the shop, and in the locker room. * How to make a "bubbling ball bouncer" for the kids, and other playful ideas. * Two easy ways to build an erupting volcano for that next science project. * Cut your craving for sweets with this one simple trick! * The latest news from the world of science regarding vinegar and blood sugar control. Get your copy today and put a little sparkle and shine in your life!